In a company, more particularly a content publishing company, there exists a gap between the editorial staff and the SEO team. It is the purpose of the editorial staff to create content while the purpose of the SEO team is to get the content seen by as many people as possible. The gap I am speaking of lies between the writing skills of the editorial team and the valuable knowledge of the SEO team. This new, unique guide was created with the intention to fill that gap within your company by providing your editorial staff with a minimal and essential understanding of SEO. Editors and copywriters are hesitant to spend any of their limited free time on learning about another industry’s best practices. After all, they have spent their lives perfecting their own trade. Instead, internal or external SEO teams spend time doctoring up the articles so that they will rank better for a keyword family that the author did not define himself or herself. The purpose of the article or intent of the author can get lost in that process and the value of the content is diminished. I would like to be clear by stating what I am not saying. I am not saying that the gap is the fault of the editors or the SEO team, or that one needs to play both roles. 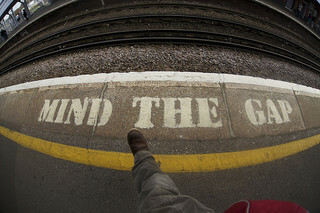 Upon investigating past attempts to close this gap, I began to observe the problem. Two-part guides glutted with technical buzzwords, theoretical concepts, HTML code, and more information than anyone can stand to cram down in one sitting were scaring off those who had 20 minutes to digest some extra information to better themselves as editors with content on the web. SEO analysts have tried to share their wealth of information across the gap, but the information has been too voluminous and irrelevant for editors to give a damn! The truth is, there aren’t that many SEO best practices that concern an editor. They don’t need to be knowledgable about indexes, redirects, or HTML coding; bigger isn’t always better. 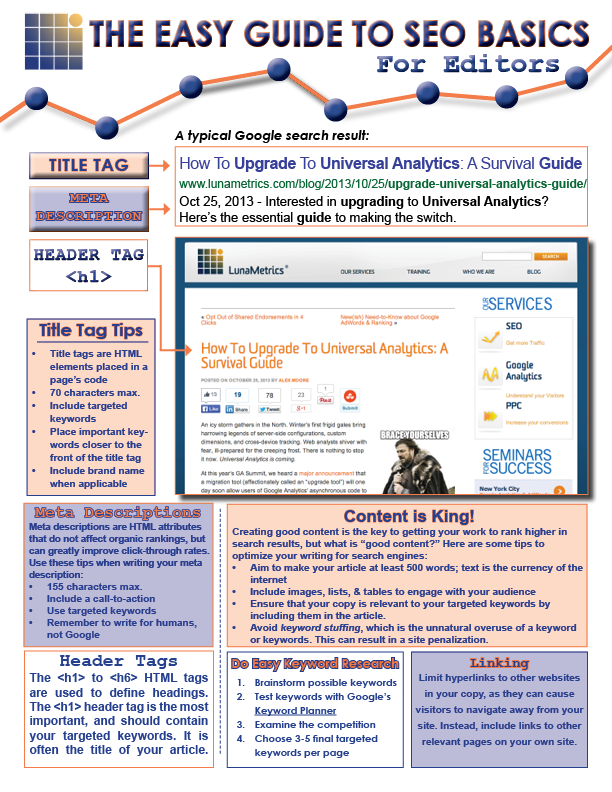 In fact, we were able to fit all of the necessary and essential SEO facts on one page. Enjoy!